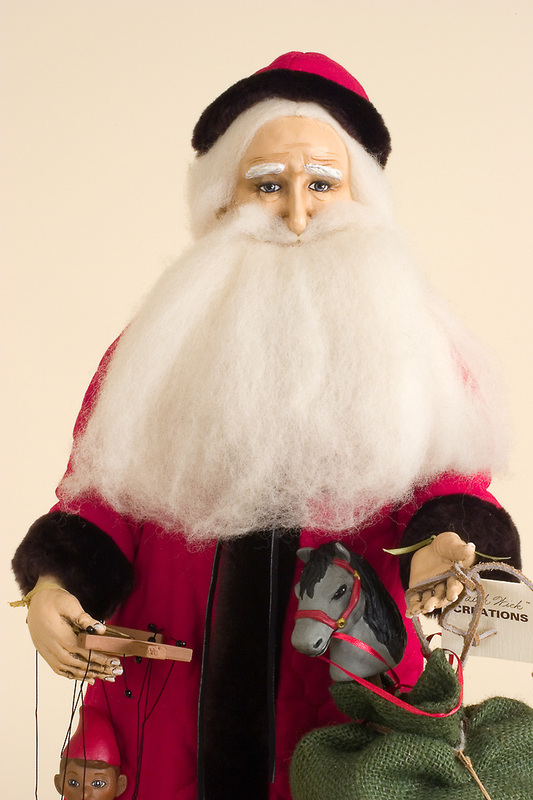 The Gift Giver is an exceptional limited edition Resin Collectible rendition of Father Christmas, by Faith Wick for Faith Wick Originals. 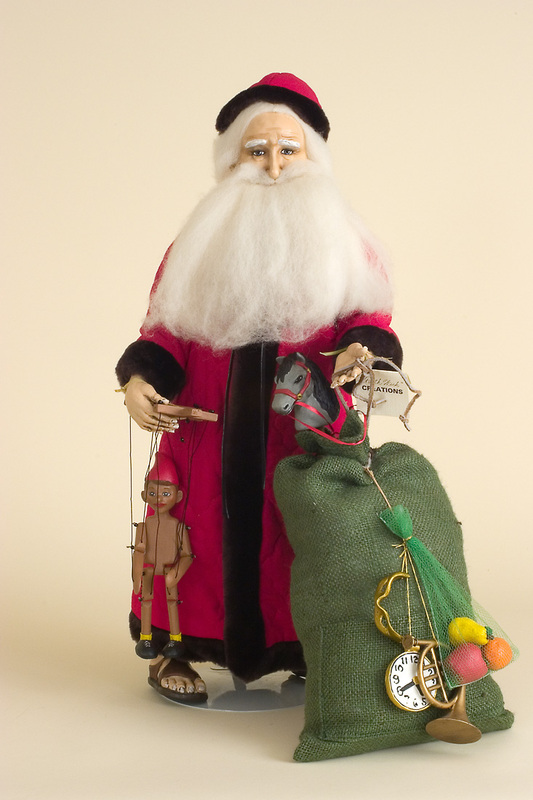 He carries a Pinocchio marionette and a large sack of gifts. 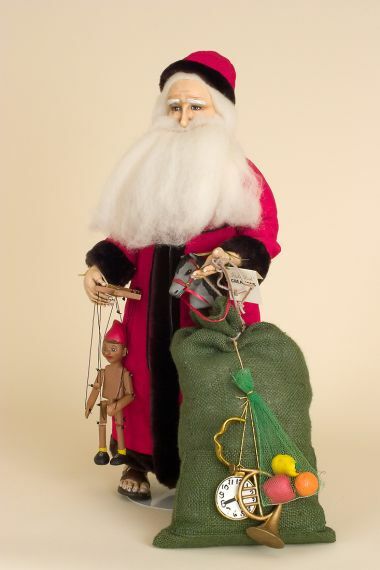 The Gift Giver is something of a cross between St. Nicholas and Santa Claus, and is poignantly recognizable as the kindly miraculous soul who appears during the Season of Giving to the delight of children especially. This piece is approximately 24 inches tall. Original retail: $995. A truly exceptional example of the distinctive creativity of Faith Wick.